Michelle Brown joined the Vermont Cooperative Fish and Wildlife Research Unit in 2010. 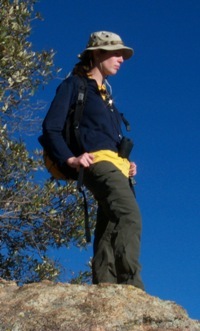 She also works part time as a Conservation Scientist for The Nature Conservancy, where she has worked since 2001. She currently resides in Saranac Lake, NY in the Adirondack Park. Michelle has a BS in Environmental Studies from Binghamton University and a Graduate GIS certificate from Penn State. In her spare time, Michelle heads for the woods on skis, snowshoes, bike, or canoe. Michelle's research interests are varied, but all rooted in a desire to apply the best available science to solve conservation problems. She is interested in conservation biology, landscape ecology, conservation planning, and transportation ecology. Michelle's current research is quantifying how predicted land use change in Vermont will affect Vermont's biodiversity.